It’s that time of year again. The riding season is in full swing and manufacturers are making their announcements for the new year’s models. 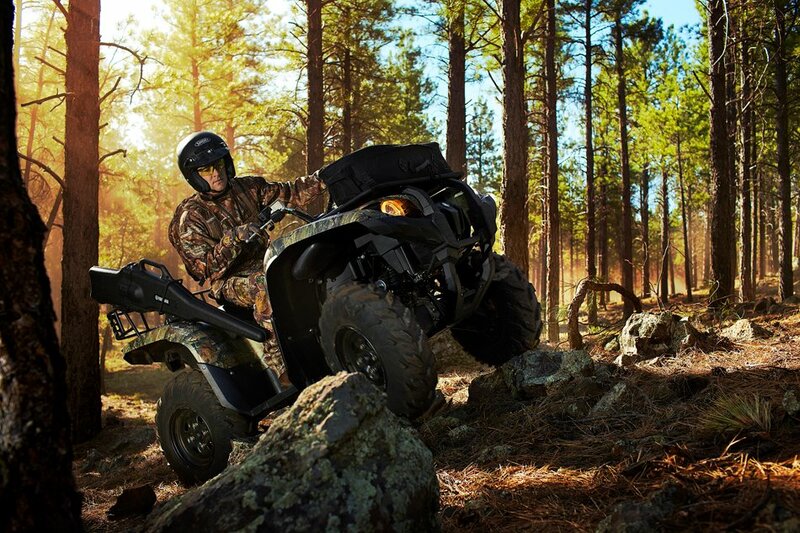 Yamaha has released their 2014 utility lineup to include an all-new side x side and a few subtle changes to the Grizzly 700 ATV. 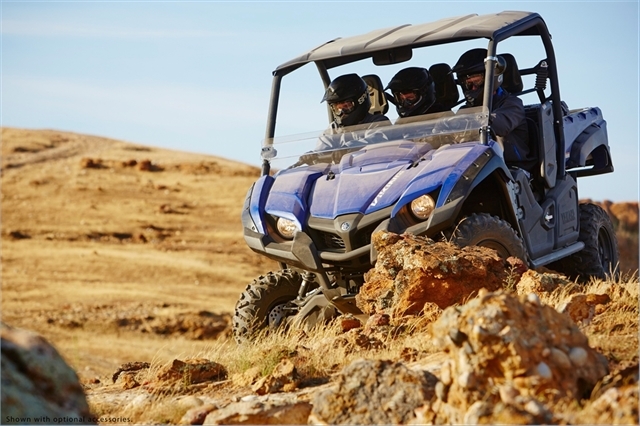 2014 Yamaha Viking FI 4×4 EPS. Yamaha stock photo. The biggest news in Yamaha’s ORV line is the introduction of the Viking FI 4×4 EPS Side by Side. The days of the Rhino are over with the Viking staking its claim as the exclusive Yamaha Side X Side. The Viking is powered by the newly improved 686cc engine that has been very successful. It uses Yamaha’s Ultramatic transmission and benefits from engine braking in 4WD and reverse. The Viking has a cargo capacity of 600 pounds in its dump bed and a ground clearance of 11.8 inches with steel skid plates. Perhaps the most notable feature of the Viking is the seating for 3 people. The center seat is set back slightly to help accomodate all three without sacrificing comfort. Even with the added seat, the Viking is only 61.8 inches wide compared to 56.6 inches on last year’s Rhino. All three seats include 3-point seat belts making the Viking the perfect family side x side without being stretched into a dirt limo. The Viking will hit showrooms in Realtree AP HD in August 2013 at $13,249. As the hunting season rush calms down, the Hunter Green ($12,499 MSRP), Steel Blue and Red ($12,699 MSRP) models will arrive in September 2013. Both Steel Blue and Red include soft-top roofs. The ATV lineup for 2014 remains very similar to last year. The only change to the Utility line is in the Grizzly 700. The 700 gains low end, mid range and top end performance thanks to a new cylinder head and enhanced engine settings. The compression ratio has also been raised from 9.1:2 to 10.0:1 with the help of a new piston shape. Yamaha also advertises longer front and rear suspension settings and improved steering for better rider comfort. In addition, the EPS models have updated EPS settings for comfort’s sake. Cosmetically the Grizzly 700 also has new graphics on the fuel tank. The Grizzly 700 continues to be offered in three models, FI 4×4 Auto, FI 4×4 Auto EPS and FI 4×4 Auto EPS Special Edition. Removed, so far, from last year’s roster are the Grizzly 125 Automatic and Grizzly 300 Automatic models. This makes the Grizzly 350 4×4 Auto the entry level system. 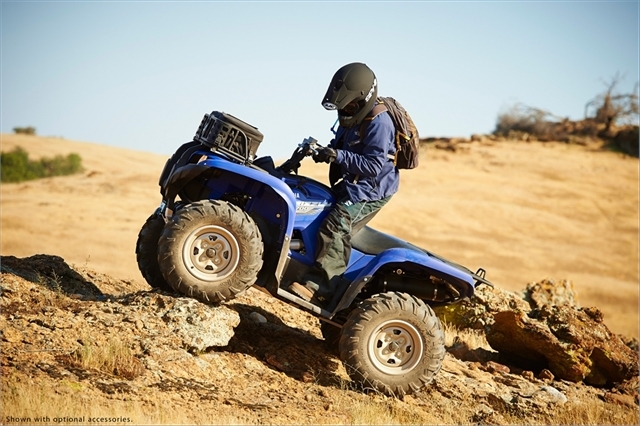 Yamaha does continue to offer the Grizzly 450 4×4 in EPS and non-EPS. The Grizzly 550 FI Auto 4×4 is the smallest model with fuel injection and also available in EPS and non-EPS. These models are unchanged. Yamaha has released their utility lineup for the 2013 season. This year offers few changes over the 2012 model year, but the lineup will continue to be an industry leader. 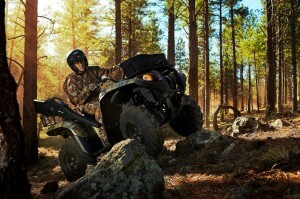 Most recently, Yamaha released details on the 2013 Grizzly 700 FI Auto 4×4 EPS Special Edition. The change is purely cosmetic; the new edition is a tactical theme with subdued graphics and black aluminum wheels. The 2013 Rhino 700 FI Auto 4×4 Special Edition also gets the same tactical treatment. The pair perfectly suit those preparing for the zombie apocalypse. 2013 Yamaha Grizzly 550 FI EPS in Realtree AP Camo. Courtesy of Yamaha Motors. 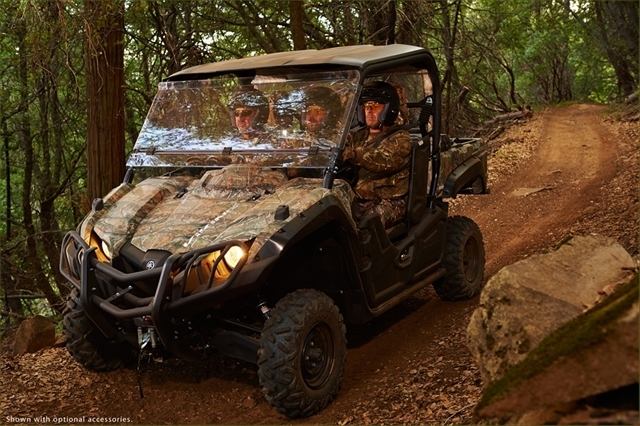 The Grizzly 700 continues to offer an EPS and a non-EPS. 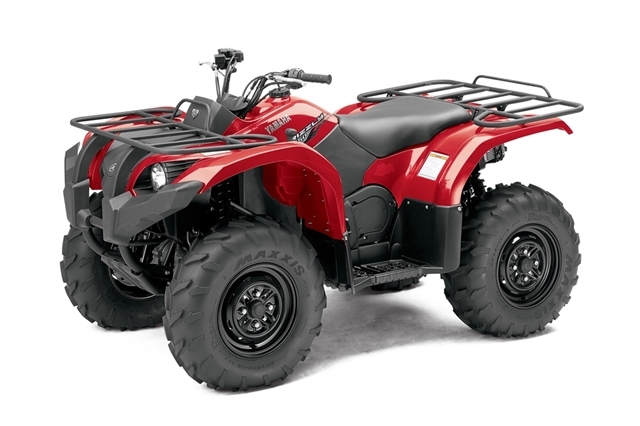 The Grizzly 450 and 550 also continue to be offered in EPS and non-EPS models. Missing this year is the Big Bear 400. Yamaha has retired the last of the Big Bear series and with its removal has discontinued the last manual transmission utility ATV in their lineup. If you are buying new you’ll be riding an automatic. The 125, 300 and 350 4×4 continue to be available unchanged. The Grizzly 125 and 350 4×4 still have the older body style. 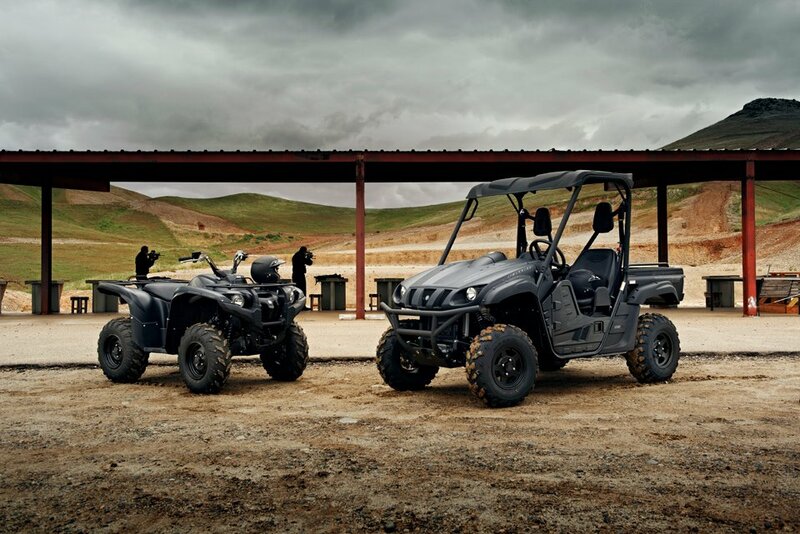 The 2013 Rhino 700 FI Auto 4×4 continues to be the exclusive side by side for Yamaha. There are no major changes for the Rhino beyond the previously mentioned tactical Special Edition.